"Space: The final frontier. 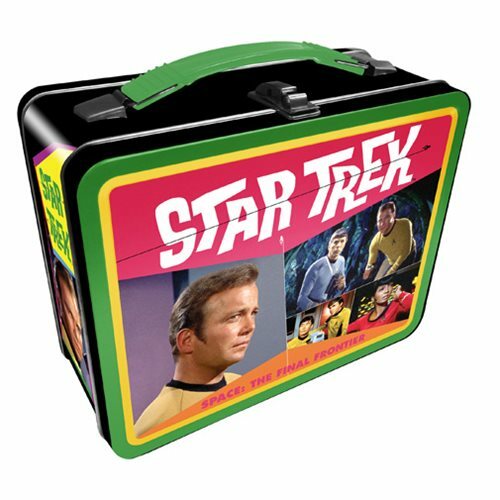 These are the voyages of the…" Star Trek Retro Gen 2 Large Fun Box Tin Tote spotlighting Kirk, Spock, and the rest of the cast from the original series. Its mission is to make you smile! The tote includes a handle and a metal clasp. Ages 14 and up.